Another quick tape release from the excellent Un Festin Sagital, hailing from Santiago, Chile, and playing a rather distinct and modern progressive blend. 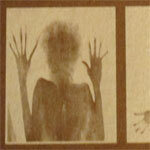 Here we get four tracks in 23 minutes, one being a deep ritual drone piece in collaboration with Decidious Flux. Odd electronic compositions and a production that sounds almost underwater makes for a very unique sound. Four panel j-card. Offset silver printing on bronze metallic paper. 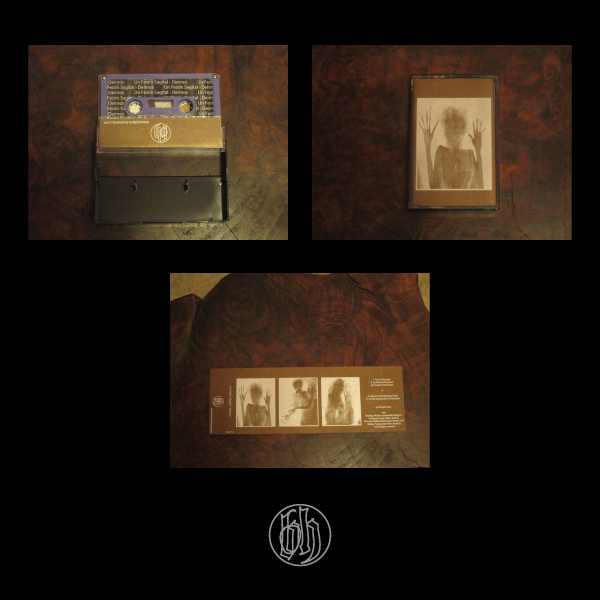 Edition of 100 copies on purple tapes.